DevSmart Group provides fundraising and donor relations support to UN agencies and NGOs. 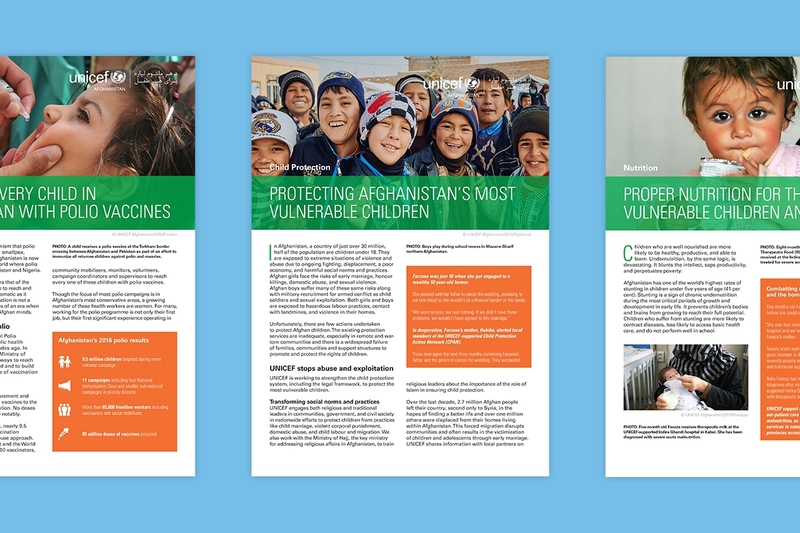 DevSmart Group and Avidano Digital worked with UNICEF Afghanistan staff to develop seven multiple page programme briefs reporting UNICEF's progress in Polio, Health, Child Protection, WASH, Nutrition, and Education. To complete this project in a cost-effective and timely manner, we created Adobe InDesign templates that included typography and color styles in alignment with UNICEF's global brand requirements. 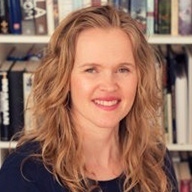 This approach allowed us to quickly lay out the type and images across all seven documents while creating custom data visualization (charts and graphs) that appear throughout the reports. Readable typography and clear charts and graphs, interwoven with journalistic photography (provided by UNICEF) make these data-rich briefs comfortable to read and easy to comprehend.